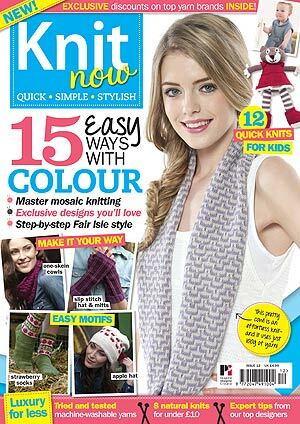 The Pinstripes & Chains set is my latest design, in issue 12 of Knit Now - it's at newsagents now in the UK, and should be at select shops in the US next month. 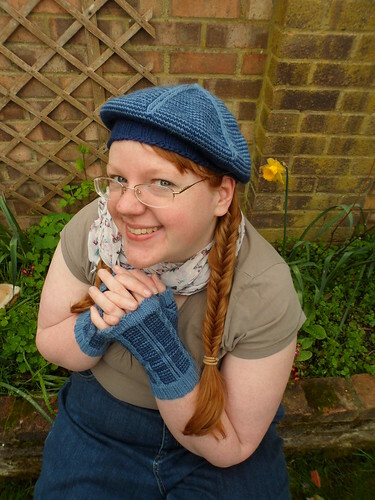 I loved knitting these - the slipped stitches are so simple and I love the pinstriped effect. Carrying the yarn up the inside of the work means a minimum of ends to weave in. While knitting the two sets of mitts (one with cables and one without), I had a serious case of "one more round"! You can find the Pinstripes & Chains Mitts and Pinstripes & Chains Tam pattern pages on Ravelry.